Guess I need to get the first post up here before I jump in too far. I've tried blogging many times in the past, and I haven't been able to be consistent with one since back in my Xanga days (glad those are behind me now!). Anyway, I'm John Stitt, otherwise known as One-Legged Lightning. 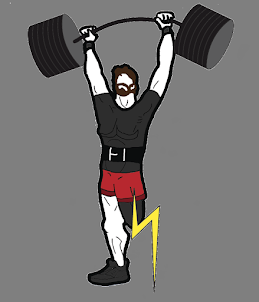 I'm a below-knee amputee with many mobility limitations and I compete in the sport of Strongman. This year is my third year competing as a disabled Strongman and my fifth year competing in Strongman overall. I competed earlier this year at America's Strongest Disabled Athlete and came in second place. This qualified me to go to World's Strongest Disabled Man in September and compete against the best in the world for the title. I hope to chronicle the next couple months here and hopefully raise some money to help pay for the trip. After World's is over, I will likely continue the blog, but let's get that far first.